The Royans Professional Vocal School offers a unique Accelerated Vocal Immersion course for singers and speakers located internationally. This course is the same as the regular Vocal Science program except it has been specifically formatted to provide accelerated vocal coaching, vocal training, or speech development for out of town clients. It is delivered over 4 or 5 days and is ideal for clients who want to travel to our school for several days and learn the Vocal Science technique in an even more accelerated manner. 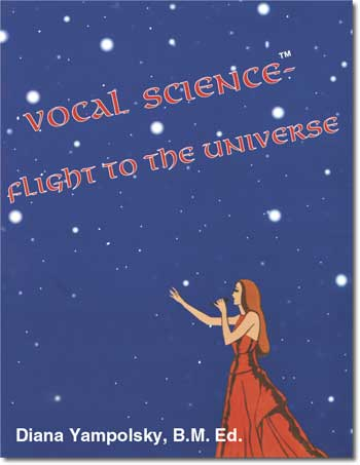 Vocal Training - Beginner to Professional Sounding Singer in only 4 or 5 days - Guaranteed! 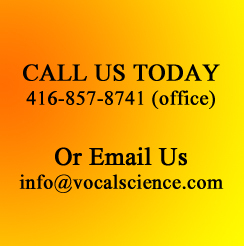 Voice Repair/Vocal Coaching - Specifically created for singers and speakers that have damaged their voice or who are experiencing some form of vocal problems. This course consists of Ms. Yampolsky's innovative healing vocal exercises and revolutionary treatment with herbal remedies specifically addressed towards the health of the vocal anatomy. Speech Development - Beginner to Professional Speaker in only 4 or 5 days - Guaranteed! Read client testimonials of singers/speakers that came to us from countries as far away as USA, UK, Japan, China, and other countries in Asia, all over Canada, New Zealand and other international countries. References for this program are also available upon request. For more information on this unique and innovative program, please Contact Us.